Bulbuli is a 20 years old girl, from Adawal village in the neighborhood of Don Bosco Tech Centre in Jagdalpur. Her Father is doing private job but does not have much savings from his salary. Her Mother is a housewife. Due to bad economic condition of her family Bulbuli dropped her further studies after intermediate. Her father’s earning is not sufficient but somehow he manages family expenses. Her parents supported her studies with lots of struggles. She came to know about skill training program at Don Bosco Tech from her friends which not only provides skill training but also a placement. But due to financial constrains it was very difficult for her to pay for local conveyance, but somehow she managed to do so. 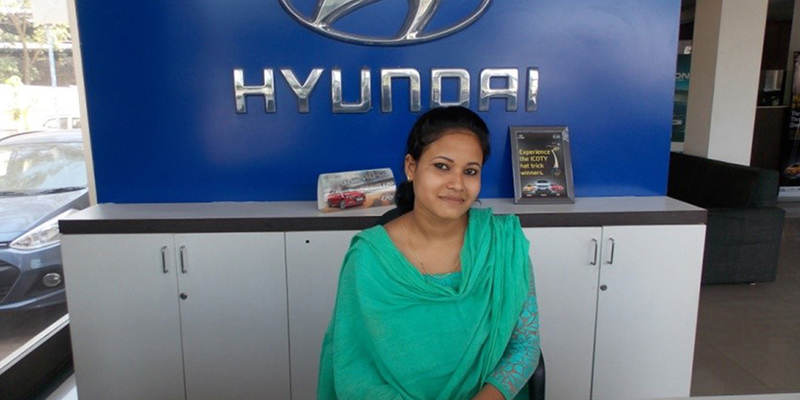 After counselling session at the centre, she enrolled in Sales Associate domain. From the first day of training, she was very active and showed lot of dedication. During training, she also participated in extracurricular activities like dance, singing, mahendi competition and rangoli competition. She was very keen about her training and regularly interacted with the trainers to clarify her doubts.